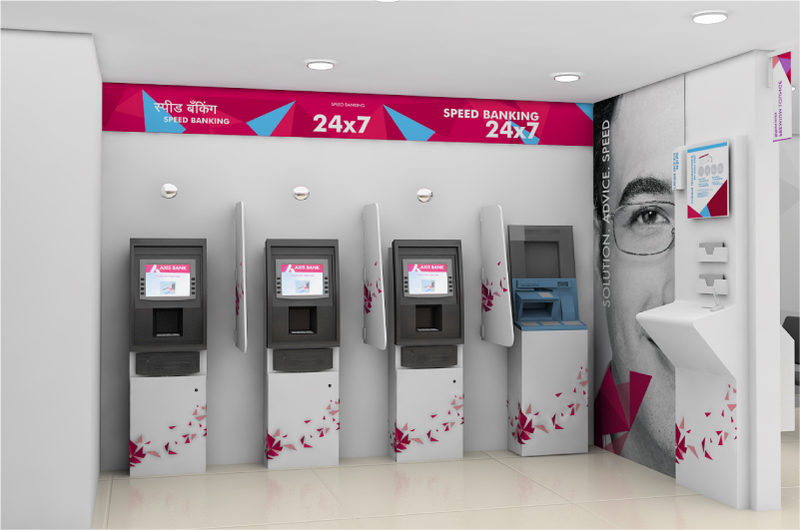 In today’s buzzing and competitive financial arena, our key challenge was to develop a comprehensive retail banking experience covering all manifestations including visual identity, banking interiors, exterior communication, signage, product communication, furniture and POS collaterals for Axis bank, a new generation private sector bank. Every branch is a brand ambassador and customer experience becomes a critical measure of retention & growth. We based our approach on findings from over 100 branches & touch points through user research conducted at existing branches across India. A customer first approach that is aligned & conducive to effective sales prompted the design direction for creating an unique Axis experience. The design approach introduced an aspirational yet contemporary visual language based on the Axis logo. The language has become an own-able brand asset for extending the spirit of the Axis identity into various platforms, unifying various applications and used across a wide range of communications including branch interiors, print and TV & press advertising. 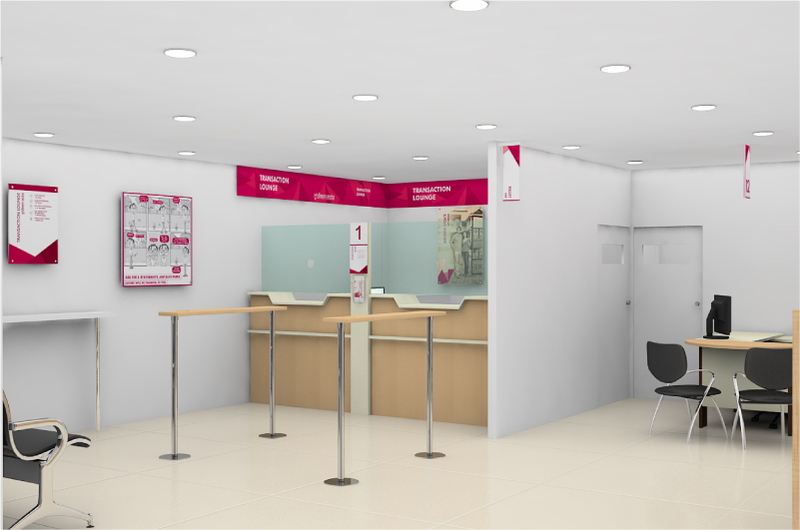 The new Branch has distinct customer experience zones that seamlessly ensure a consistent & familiar retail, service and brand experience across every Axis Bank branch. Since the launch, the new Branches now have a recognizable Axis identity. The relationship between Axis Bank and its customers has strengthened and its customer base has grown substantially. This new Axis Retail experience has been distilled into a series of guideline manuals and implemented in several phases across customer touch points through out India. The principles of retail have been extended, applied across the ATM platform, Retail Asset Centers, SME branches and other retail touch points.